Still: Volume 2 is the second release in a series of instrumental worship albums from Integrity Music, each featuring the unique sound of a guest producer. 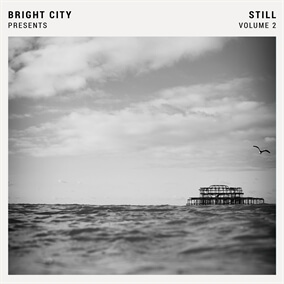 This newest volume features the UK creative movement Bright City, based out of St.Peters Church in Brighton. Infusing modern worship songs with a vibrant, chilled aesthetic, Still Volume 2 delivers the perfect backdrop for moments of devotion, prayer and meditation for individuals and churches. Recorded in various locations around the UK and mastered at the legendary Abbey Road studios, Still is emotive and reminiscent of a film score, combining strings, brass elements and electronic instrumentation with dynamic instrumental arrangements of some of today's most popular worship favorites including "What a Beautiful Name," "Spirit Break Out," and "No Longer Slaves." “Our hope for this album is that it would carry God's presence to people," Bright City shares. "In our city and context we are excited that it will provide a bridge for people into church." Download Still, Vol. 2 on iTunes and include these arrangements in your own services.